For those who’ve had their fill of the New England-style juice bomb IPAs (see our previous post Utah Haze Wars), there is a palate cleanser available to scrub all the oat flakes from your tongue. 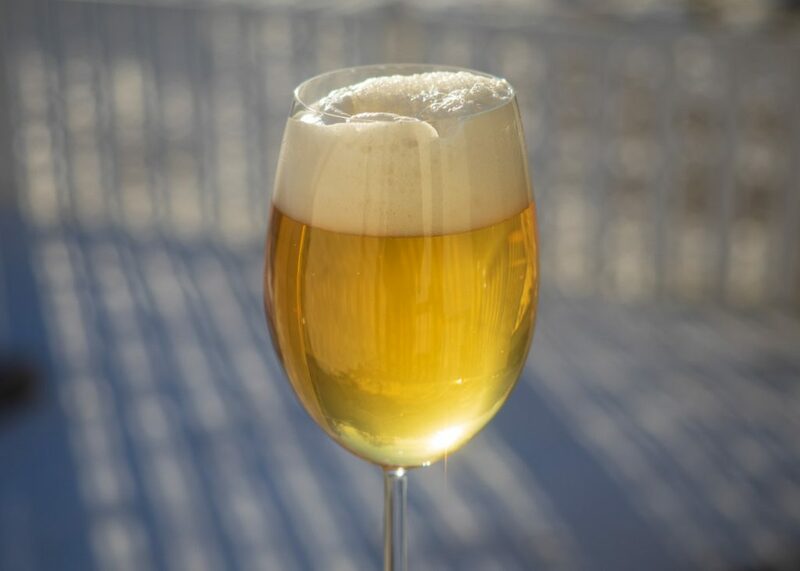 It’s the extra dry “brut” IPA and it could be perfect for Utah’s low alcohol “sport beer” market. Beer belly wearers rejoice! You no longer need to drink tasteless beer to keep your calorie intake down. Enjoy a light, crisp hop-forward beer with very little bitterness and no residual sugars. This style may be the literal Champagne of beers, but it’s still craft! 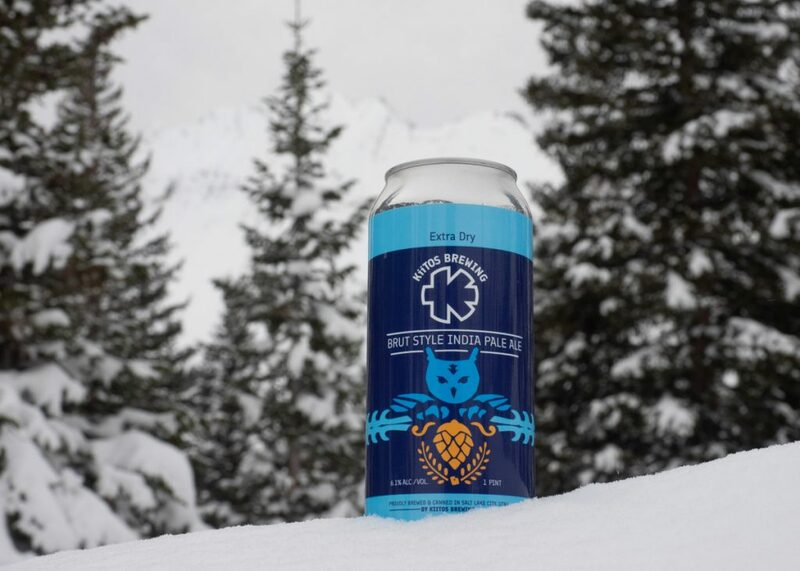 So far both Kiitos Brewing and Uinta Brewing have brewed this officially unrecognized style, but few other Utah brewers have tried it – yet. However, the talents most brewers in this state possess lend themselves very well to the concept behind it. “Brut is the session IPA that session IPA always wanted to be,” says Patrick Bourque, head brewer at Uinta Brewing. 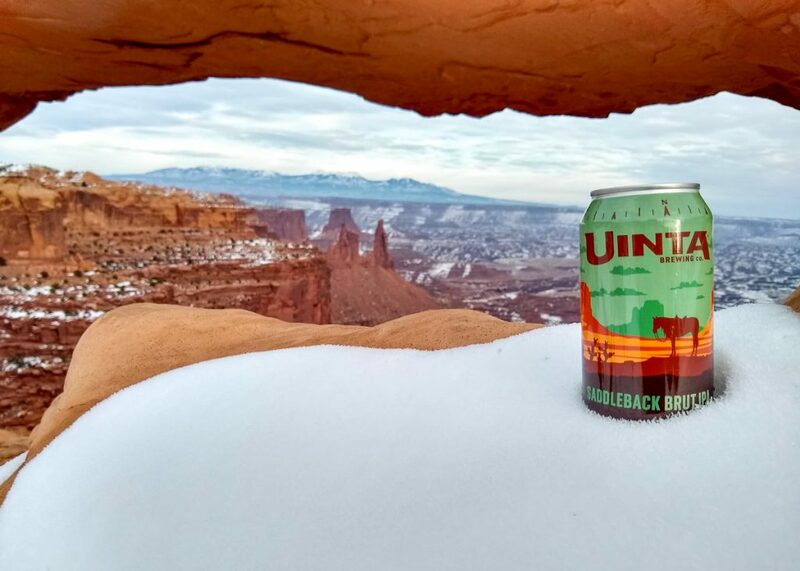 Uinta’s 4% ABV Saddleback IPA epitomizes a style that mimics Champagne while staying solidly in the “beer” category. Instead of being just a watered-down version of an IPA, the Brut IPA is doing its own thing. In general, IPAs have been trending toward a less bitter hop profile. Even the aggressively hopped West Coast styles are dialing back their bittering hops as tastes change. New England-style IPAs (NEIPAs) have been notably devoid of bitterness, opting instead for a sweeter, more juice-like effect. Hops are introduced after the boil and even after fermentation (dry-hopping) to maximize hop flavors and aromas while minimizing the bittering qualities. In this way, the Brut IPA is like the NEIPA. But the similarities end there. Unlike the NEIPA style, the Brut IPA has absolutely no residual sugars left after fermentation. This means that it ultimately finishes at either zero degrees, and more often slightly below zero, on the Plato Gravity Scale. To achieve this, brewers add an enzyme (amyloglucosidase) during the mash and in the fermentation tank to break down complex, otherwise unfermentable sugars so that they are digestible to the yeast. As a result, the beer can attenuate (convert sugars to alcohol and carbon dioxide during fermentation) much further than it would without the enzyme. The outcome is a bone-dry beer that can seem almost as refreshing and hydrating as water. Despite the absence of residual sugars, a Brut IPA can still exhibit some sweetness from the presence of alcohol. For this reason, the higher alcohol versions can start to taste more like a typical West Coast IPA and fail to stand out as a unique style all its own. Many Brut IPAs end up in the alcohol range of a double IPA. This may be due to brewers starting with a gravity they’re used to when brewing an IPA combined with the enzyme that increases attenuation. Utah brewers have the acquired skill of making low-alcohol beers for draft and are quite comfortable with a lower starting gravity. The potential to make a truly “dry” IPA is much better if it’s made to be session strength. Because a Brut IPA has very little malt backbone, it isn’t difficult to throw the whole thing out of balance with too much bitterness; hence the technique of massive dry-hopping. A light, bready grain character can be apparent, but a simple, clean malt bill is desired. Bourque explains, “The one tool you have as a brewer to differentiate yourself, aside from proper use of the enzyme, is your hop choice and what you choose to do with them.” Uinta chose German Hallertau Blanc hops for their white wine-like characteristics with notes of gooseberry, white grape, and lemongrass. Kiitos went with the fruity vibes of Mosaic and Galaxy hops in their versions. With bitterness restrained and little to compete with, the Brut IPA style is a wonderful showcase for the range of flavors and aromas that hops can provide. Also indicative of the brut style is a crystal-clear light color with an effervescent, higher carbonation that pops. For me, this is a welcome change from the heavier, opaque NEIPAs we’ve seen trending over the past few years. 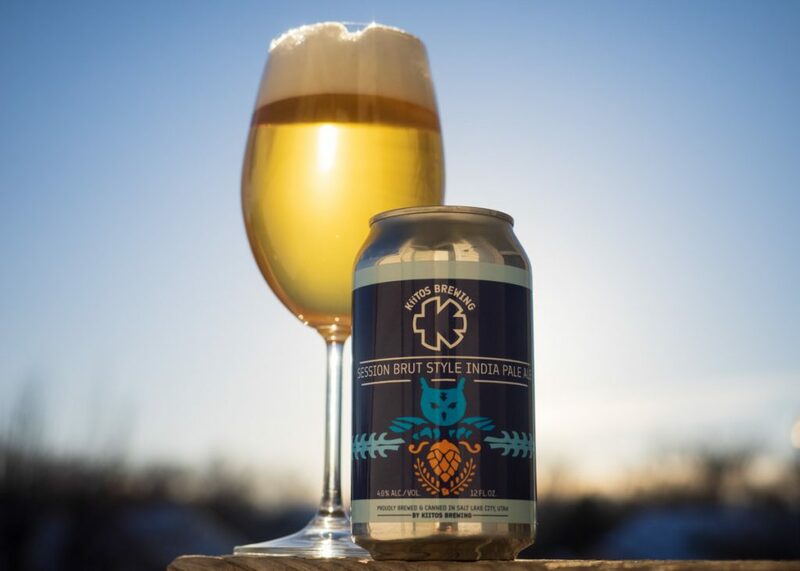 While I enjoy the style very much, a focus on the “haze factor” has made me appreciate a beautiful glass of what looks like beer – not juice, or dishwater in some cases. And with a Brut IPA, you can easily drink more than one. These beers are as crushable as they come! Perhaps the most marketable trait of the Brut IPA can be found in the Nutrition Facts. Beer labels aren’t required to display these, but makers of the brut style may want to. The calorie and carb levels are much lower than comparable beers. Kiitos head brewer, Clay Turnbow, had his two Brut IPA versions analyzed to find out just how low-cal/low-carb they really are. “Our session brut is pretty much right on par with Michelob Ultra,” he tells me. At only 97 calories and 4 g of carbohydrates per 12 ounces, this is a beer you can afford to drink with very little guilt. The high-point version (6.1% ABV) comes in at 154 calories and 5 g of carbs per 12 ounces. That’s more in the range of the 4% ABV draft beers Kiitos makes. So first Lauren writes up coffee beers without mentioning one of my local favorites, Shades’ Espresso Stout. 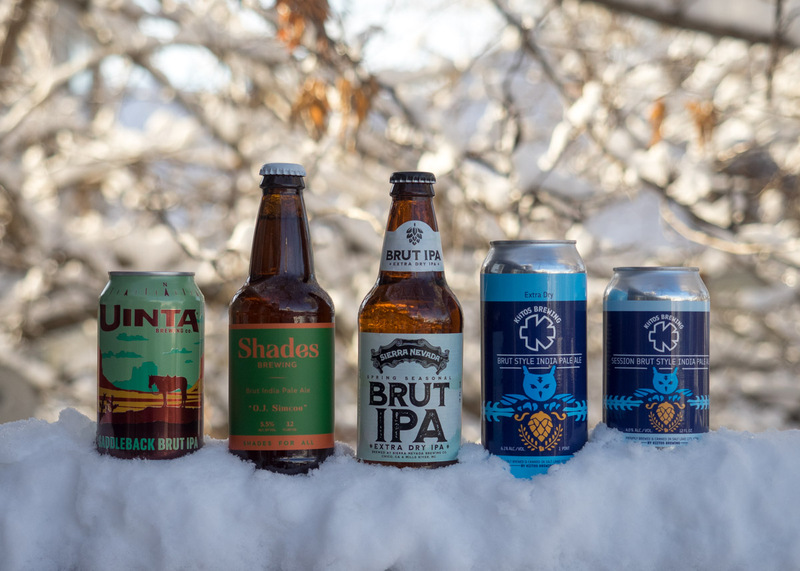 And now you write a piece on Brut IPAs, and don’t mention Shades’ OJ Simcoe, which is one of my favorite examples of the style (that Sierra Nevada is really good, too). Is there bad blood, or are you and Lauren just overdue for a visit to South Salt Lake?